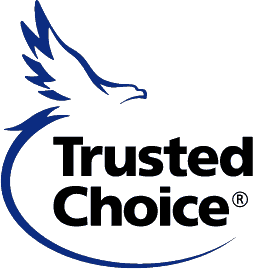 We’re an independent Insurance provider based in Woodstock, GA.
What is more important than your personal belongings? Our agents are dedicated to ensuring that your investments are protected. MLI can help build a customized plan! Whether you need a full-fledged Business Owner’s Policy, a commercial auto policy, or just a general liability policy for your start-up, MLI can help you do business! Protect your estate and your loved ones with quality term life insurance. Life insurance should be affordable, not “cheap.” Do you know how much life insurance you need? If you are an Auto-Owners customer who is losing your servicing agent but wish to maintain your policies, we can help. We serve over 900 customers and continue to be ranked one of the highest in customer service since 2009. Independence means that MLI can shop from among many companies to find the best coverages and rates for our clients. No one-size-fits-all insurance coverage. MLI can find the insurance that is right for you! MLI is experienced and knowledgeable when it comes to helping you find the right coverage without breaking the bank! Members of our team give back to the community by aiding local non-profits and charities. Our team serves on a number of boards and councils that help our community grow. Mountain Lakes is here to provide value through knowledge and transparency. We are ready to help you with any questions you may have, and provide you with the coverage that is best for your needs. Let’s Talk! "Great to deal with, always looking out for their customers, and will find you the insurance for your needs." "Here is a company that is always looking out for the interests of others." "I have been with Mountain Lakes Insurance going on 3 years now and they are great! Great customer service and best deal I could find for insurance! Look no further!"